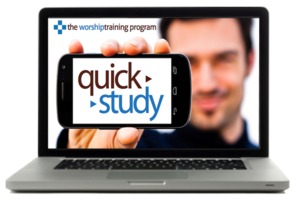 The Quick Study Program is based on the Essentials In Worship Course with Dan Wilt. This Essentials Course is comprised of short modules which are highlighted individually on a monthly rotating basis. Be certain all team members are signed up and registered for an account at WorshipTraining. This will put them on the email list. The EMAILS ARE THE KEY to what we are highlighting for your training each week. If you’re not receiving the emails, be sure they’re not landing in your Spam folder. If so, add support@worshiptraining.com to your address book. On the first Monday of each month, a different Quick Study module is started via email for your team. Encourage your team members to join the study on their own or forward them the email directly. To begin the Quick Study, members simply download the eBook (PDF) Study Guide and start to watch the videos at their own pace following the Weekly CheckPoint Schedule. Or, set up live group sessions for your entire team to gather around a big screen for the videos and great follow up discussions! Continue until everyone has completed each of the 6 Quick Studies. Over 100 practical skills Courses are waiting to be discovered in the Essentials In Worship Tooklit Series, Electives and Instrument Tutorial Sections of the Courses Page. The Whiteboard Worship Training Series is a great place to start. Visit the homepage regularly to see what’s new and follow the links to fresh content in the weekly emails. We’re constantly adding new resources. 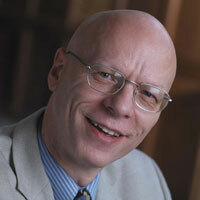 Churches run entire seminars and retreats for their teams based on content from WorshipTraining. Go for it! Your Premium Membership is ready to serve your local training needs and help support you in your calling.